We at Handy Flowers work hard to create floral displays exactly as you see them on our site, or in your imagination. And since we strive to bring in only the best flowers, at the lowest possible price, we promise to craft floral arrangements worthy of the event at hand. Because our expert team of florists work so hard to create the freshest and loveliest bouquets and flower arrangements in North West London, you know that no matter the time of year, you will be getting the absolute best of the best. From anniversary flowers and sympathy bouquets, to an arrangement just to say "I love you", we will have absolutely everything you need, and promise to get the flowers delivered whenever and wherever you require. You won find a better flower delivery service in the whole London area. Send flowers with us now to ensure your gift will be there on time! When it comes to ordering flowers by post in North West London, we at Handy Flowers know how difficult it can be to find something that not only matches your taste but also your budget. That is why we search the flower market to provide you with the absolute best of the best at a price that you can afford. We guarantee that our flower arrangements, bouquets and more will cost you less in our flower shop than what they do anywhere else and will look exceptionally beautiful. We want to make sure that no matter the occasion, whether happy or sad, you will be given everything you need in order to make the day remarkable. That the memories attached to it will be good ones in spite of the circumstances surrounding it. So next time you need a beautiful arrangement or speedy flower delivery and are on a bit of a budget, order from us. There are so many ways to find the perfect bouquet of flowers in this day and age; from grocery shops and local florists to locating a 5-star option online. But there is something rather special about finding a florist nearby that cares just as much about your event as you do. At our flower shop our team of North West London florists promise to put as much care as you would into your next floral need. Whether you are looking to create some gorgeous wedding bouquets, sympathy flowers, an anniversary arrangement to blow all other anniversaries out of the water, or just want to send a "just because" arrangement to your special someone, our expert team of florists will craft whatever your heart desires, and do it at low cost. Order flower delivery and see for yourself! In this day and age, there are many ways to tell someone that you care, or you are thinking of them. But there is something rather special about adopting the time old tradition of sending flowers to your loved ones in their time of need, joy, or celebration. That is why we offer a few ways for you to send your arrangements to the people you care about. Not only do we offer same day flower delivery within North West London, but we also give you the option to send flowers by post at any day of the week. This means you won't be required to gather up your wedding, funeral, or anniversary flowers on your own, but instead, you will be offered the freedom to simply order flowers online and relax knowing they will arrive on time. To get flowers delivered today place your order now! Great care is taken to maintain the style and specific theme of the flower arrangement, utilising flowers of equal or higher value. We invest time in creating each flower arrangement for you because it's the client we care about. Because of this, we want to offer you the option of sending flowers online with us. There are so many times where a lovely floral arrangement can say so much, but there isn't always enough time to visit the local North West London flower shop in to pick something out and then deliver it. Instead of this, try shopping online with us and then choose next day flower delivery! By selecting this option online, you know you will be sending an arrangement as seen online, and the recipient will have it in their hands the next day. So instead of an entire lunch break being used running around to the florist, it now takes a simple "click." Place an order with Handy Flowers and enjoy prompt flower delivery at low cost! 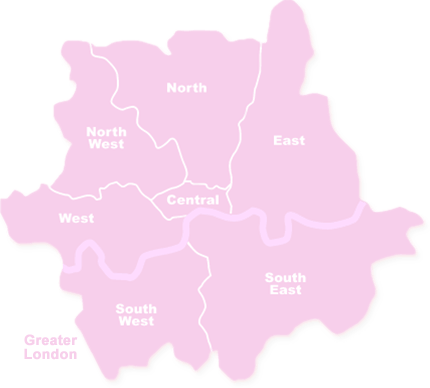 North West London covers the western part of north London and consists of the London Boroughs of Brent, Camden, Harrow and parts of the London Boroughs of Barnet, City of Westminster, Islington and Kensington and Chelsea. The most famous tourist attractions in North West London are the British Library, Lord's Cricket Ground, Hampstead Heath, Parliament Hill, Keats House, Madame Tussauds London, Royal Air Force Museum, London Zoo, Jewish Museum and Wellcome Collection Museum. Notable areas within the North West London region include Camden Town, Kentish Town, Colindale, West Hendon, Tufnell Park, Kingsbury, Wembley Park, Willesden, Queensbury, Harlesden, Gospel Oak, Dartmouth Park, Kensal Green, Chalk Farm, Swiss Cottage and Edgware.